ItemE-06029 - "He sees the point of these jokes." ItemE-03964 - First Nations meeting with Governor Seymour and others near Lillooet. ItemE-03965 - Volunteer corps at New Westminster. ItemE-03379 - Camp 8; Victoria Lumber Company. ItemE-03969 - Governor Frederick Seymour and others playing cards. 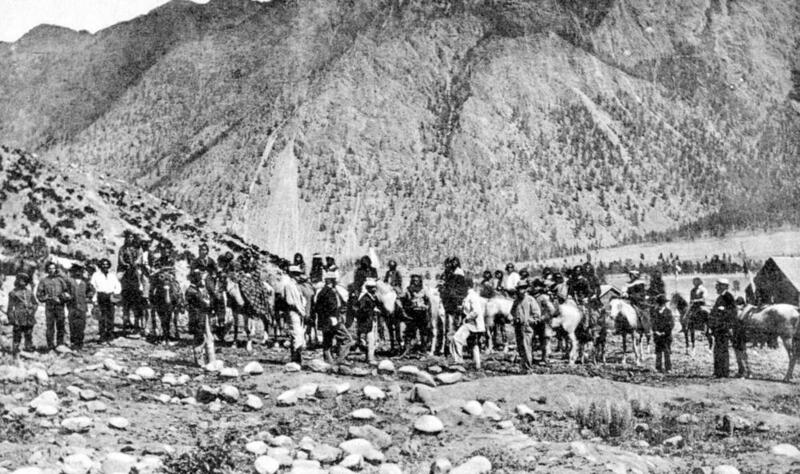 Item E-03964 - First Nations meeting with Governor Seymour and others near Lillooet.